Digital dentistry offers vast conecpts for diagnosis and treatments. Dentists, surgeons and dental technicians benefit from data acquisition. These can later be used in planning and crafting processes of the traditional denture, as well as for realisation of more complex implant or superconstructions. 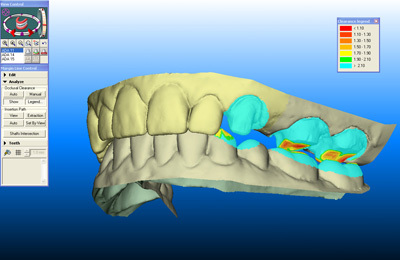 Due to three-dimensional diagnostics and analysis, as to computer-aided planning, certain interventions can be held more securely and minimal-invasively.